Nonprofit organizations from all over Barrie need volunteer support. The Barrie Volunteer Pool is designed to capture and ‘pool’ the expertise, skills and available labour from across Barrie and the surrounding area. This is your time to put those skills to good use. Fill out the registration form and let us know what type of volunteer work you are interested in and the time you can commit. I agree to join this website's mailing list to learn about new volunteer opportunities. You can withdraw your consent at any time. Note: Emails will be sent out no more than once per month. 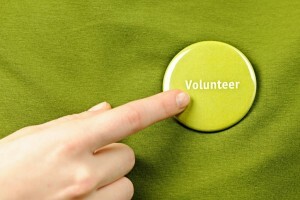 Emails will contain links to new volunteer opportunities that have been posted in the previous months. The Volunteer Pool list will be available to registered organizations when they are looking for a specific ‘episodic’ (short-term) or a long-term volunteer. Take this opportunity to put yourself out there! Tell us about all those professional skills you have that could benefit a nonprofit organization. Do you have special skills in marketing, law, accounting, web/computer skills, fundraising? Let us know and we will help match your skills with the needs of nonprofit organizations in Barrie, Ontario. While you’re registering for the Volunteer Pool, rest assured that you can always revisit your profile and make any changes to your interests, level of time commitment, etc. Dive in and help build a stronger community in Barrie!